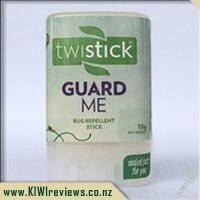 We were selected a wee while ago to review this product but were then given an extension to review dud tk living in Invercargill and it not being anywhere near mosquito season at the time. It is now the first week of December and we have been blessed with two lovely days since it was officially Summer. Although there are not loads of mosquitos there are still enough to need a bug guard. My oldest son reacts to mosguito bites so I was definitely keen to try this on him and am happy to report that in remained bite free on those two days. As part of the experiment I decided to not use any on these two days. While my son was fine, I was bitten on both feet and my shoulder. I now regret my decision to not use the bug guard lol however, I did decide to put it on the existing bites to see if it would reduce the itching and can report that yes it did work and stopped the itchiness. I like the little container and the shape. Its easy to hold. I don&apos;t think that its easy to apply though. Kinda thick and difficult to spread on the skin. Its quite a strong citrus smell but I really like it. I also liked that its small enough for my son to carry in his school shorts pocket. It seems pricey for a small container but worth it id say. 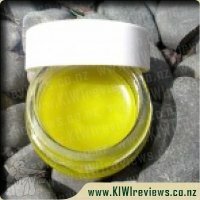 I was given some of this to review and have held off writing this to enable me to try it at times when I&apos;m likely to get bitten (mosquitoes love me, but we aren&apos;t quite into summer yet so it&apos;s hit and miss how many are around). However this weekend I had a couple of outdoor BBQ&apos;s which went into the early evening - prime occasions when mosquitoes are likely to attack. Firstly I&apos;ll focus on the smell though... which I thought was OK. It wasn&apos;t horrible, with a citrus scent to it, but it was still quite noticeable that I was wearing it. I have to say though, it&apos;s pretty hard to get a mosquito repellent with a decent smell to it, so this was more than passable as far as I&apos;m concerned. I did notice the smell tended to fade away after a while too - so perhaps not that noticeable to others around me. The little container it comes in (with a twist mechanism to bring the repellent stick up) is fantastic. 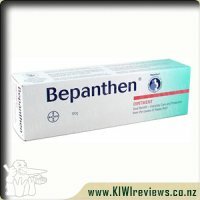 As someone who gets bitten easily and then reacts to the bites with ongoing itchiness and welts, I love the idea of having a repellent that I can keep in my handbag just in case, as large spray bottles tend not to be that portable. 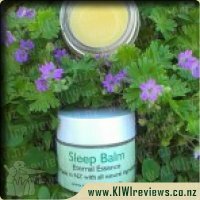 It would also be great for camping and tramping trips and any other times you would want to pack light. 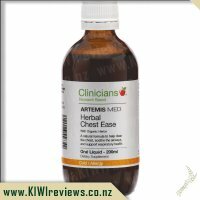 However it does remind me a bit of a glue stick and although the repellent is easy to rub on, you really do need to glide it over every part of your body that you want to protect. You can&apos;t just dot it on randomly and then rub it over the rest of you. This means it is more time consuming than using a spray. I like to put insect repellent on every exposed part of me as otherwise the mosquitoes will just find the unprotected parts to bite. This means the face too! I tried this repellent twice on my face. The first time I put it on, I then put my usual foundation over the top and I was happy with that. The second time I just rubbed it straight onto my face before going outside but when I came back in an hour or so later, my face was quite red - almost like it had reacted a bit. I do have very sensitive skin on my face though and have to be extremely careful about what I use, so although I personally wouldn&apos;t put this on my face again, it doesn&apos;t mean to say others will have the same issue. And it could have been way worse so that&apos;s pretty good for my sensitive skin! And does it work? Well I can truthfully say that I have not been bitten while wearing this, but it&apos;s hard to know whether I would have been bitten even if I weren&apos;t wearing it at the time. We are not fully into mosquito season, but I have already been bitten plenty of times when I wasn&apos;t using a repellent so the mosquitoes are around! Based on my reasons above, I&apos;ll keep this in my bag as an emergency spare and happily use it if I find myself needing to use repellent. But it probably wouldn&apos;t be my main repellent - I&apos;m still likely to keep a spray can in the cupboard for my main use. But I must say that I&apos;m happy that (so far) it does seem to do it&apos;s job well, and after all that&apos;s the main thing. For the sake of full disclosure, I should mention ahead of the review, that it was not "mosquito season". This means I was unable to properly test the product&apos;s repellent capabilities (Though I will endeavour to save some of the product to test it properly at a later date, at which point I will add a second review). Now this product appealed to me for several reasons; primarily the advertised "pleasant smell", and lack of chemicals. Aerogard and Off! have been the brands that my family and I have generally used in the past, and the smell was always less than pleasant; usually varying between incredibly strong "tropical" chemical smells, or the mild "odourless" smell, that smells like an apple that is going off. 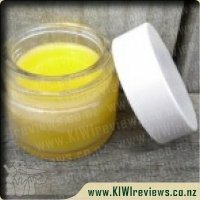 This product has a sweet citrus scent to it, that reminds me somewhat of lemon flavoured cough drops - a smell that I find rather pleasant. The small size of the packaging, and the roll-on design, makes it compact, very easy to use, and safe for carrying when you travel. The fact that it is not a spray, also means that when you apply it, you apply a consistent amount of repellent to a consistent area of skin. It also provides more control around applying to areas such as the face. The oils also make it visible so that you can ensure to not miss any spots (a common issue with sprays). Now, I am a rather hairy male, so one of the reasons why I generally chose sprays over lotions, is that it is impossible to rub in lotions thanks to the hair. It clumps, it pulls, and it leaves a feeling of discomfort. 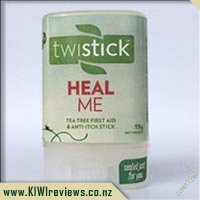 Unfortunately for me, this repellent stick has a similar issue. It feels like you are rubbing a gluestick across your limbs, and leaves a greasy film. While you could rub it in with a bit of elbow grease, I am uncertain whether this reduces the effectiveness of the repellent. The added problem with hair is that it increases the amount of the stick that gets used in each application, meaning you run out sooner. Depending on the level of exposed skin, I personally would achieve about 15-20 uses out of this product. But the important thing is whether it repels mosquitoes. I would gladly put up with some oily stickiness if I could guarantee that I would not receive a bite. But I will need to wait to test it out in that fact. Wellements Baby Move is a natural formula designed to help infants and toddlers with occasional constipation. Our unique blend of organic prune concentrate and prebiotics is specifically formulated to be gentle and safe for infants 6 months and up. Our sweet tasting formula can help your baby move things along.